Follow everyone’s favorite protocol droid as he Journeys to Star Wars: The Force Awakens, in this special one-shot leading up to his appearance in the film! 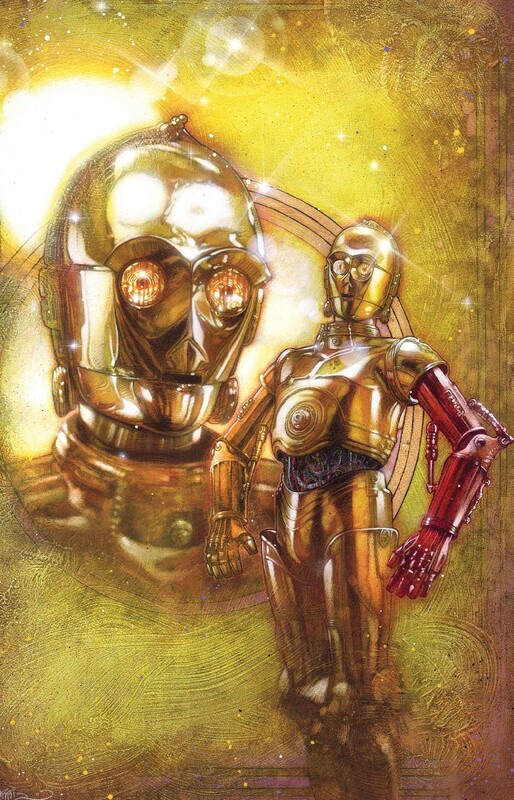 Just how did Threepio get a red arm, anyway? Find out here as the blockbuster creative team of James Robinson and Tony Harris of DC’s Starman reunite for the first time in nearly two decades! You may be fluent in over six million forms of communication…but this book is a must have in any language! Galactic espionage hits the Empire—hard! Haarkon Dak has been undercover in the Imperial bureaucracy for years…but now, he’s the only chance to save Rebel sympathetic senators! 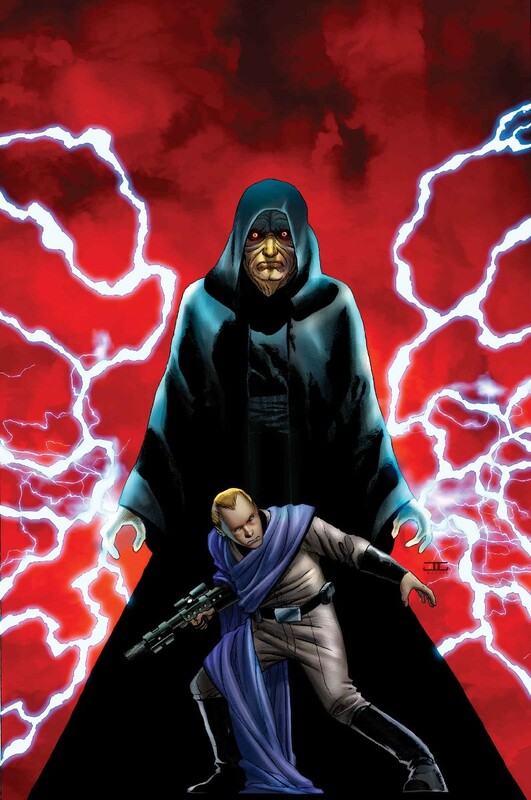 Caleb Dume enters the Clone Wars for the first time! 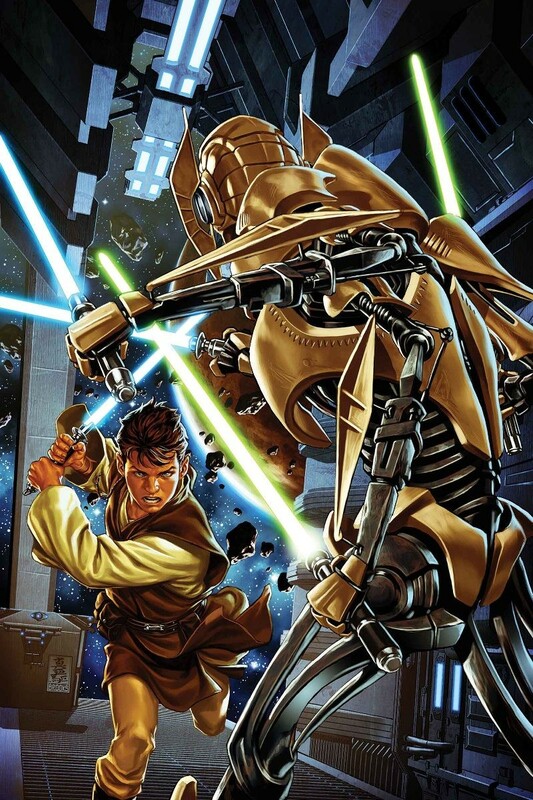 He and his new Master Bilaba take command of a Clone troop…and face one of the most deadly Serparatist generals…GRIEVOUS! 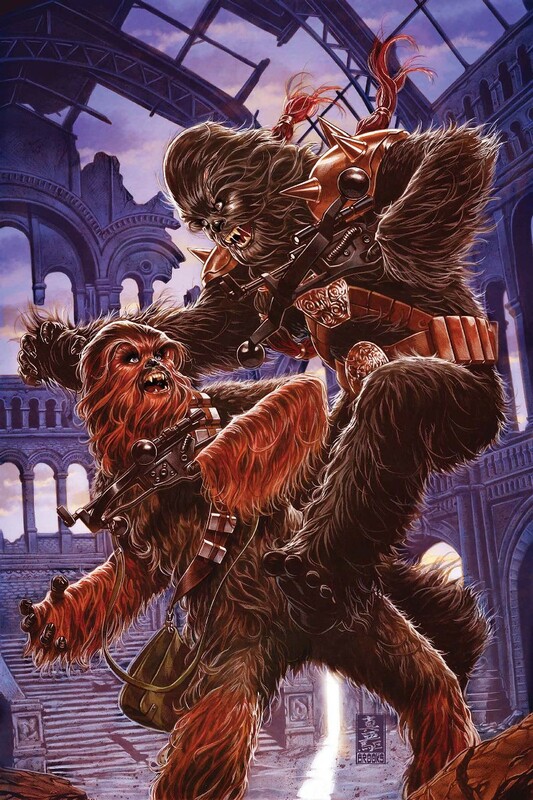 Chewbacca & Zarro face their final challenge…the coming of the Empire! 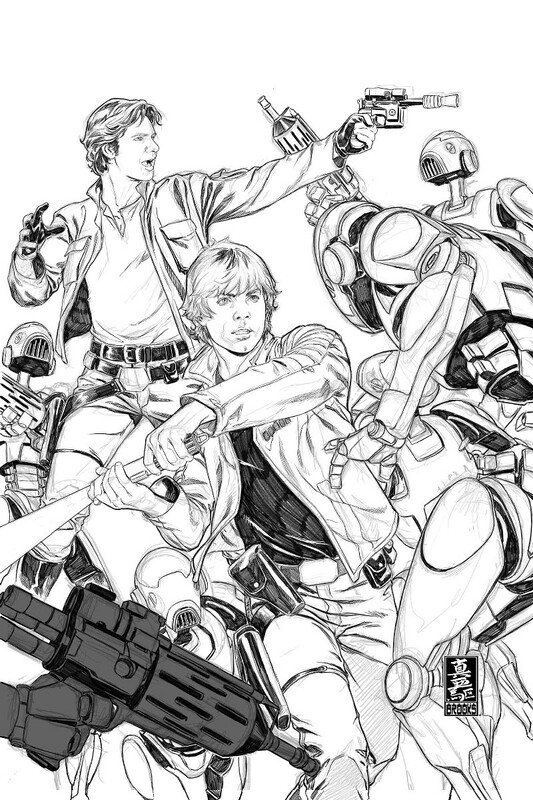 But No Wookiee, No Cry—they’re up for it! This is one walking carpet who’s not going to be stepped on! Luke continues his quest to learn about the Jedi by heading for the Jedi Temple on Coruscant. But when his lightsaber is stolen, he soon finds himself entrapped and imprisoned! Will his friends come to his aid before he’s forced to enter the Arena of Death? 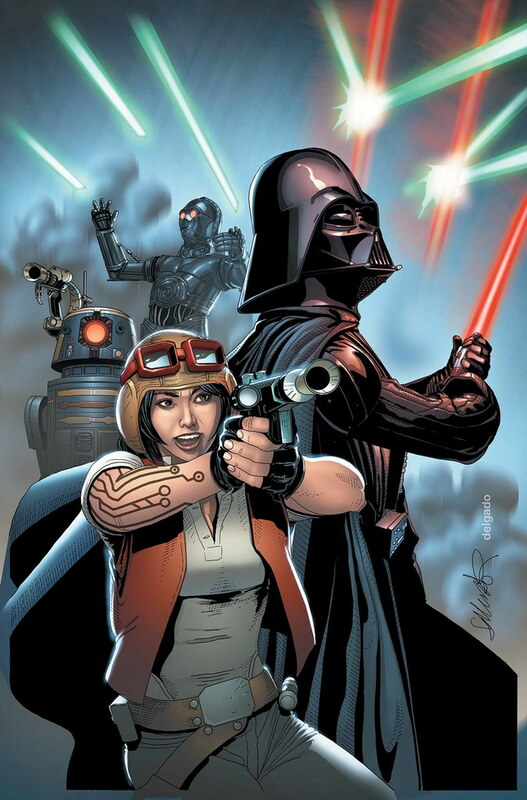 Meanwhile, Han and Leia are confronted by an unexpected foe. The Imperials are closing in on them, and they were set on the rebels’ trail by a mysterious woman from Han’s past — one with a very personal grudge! 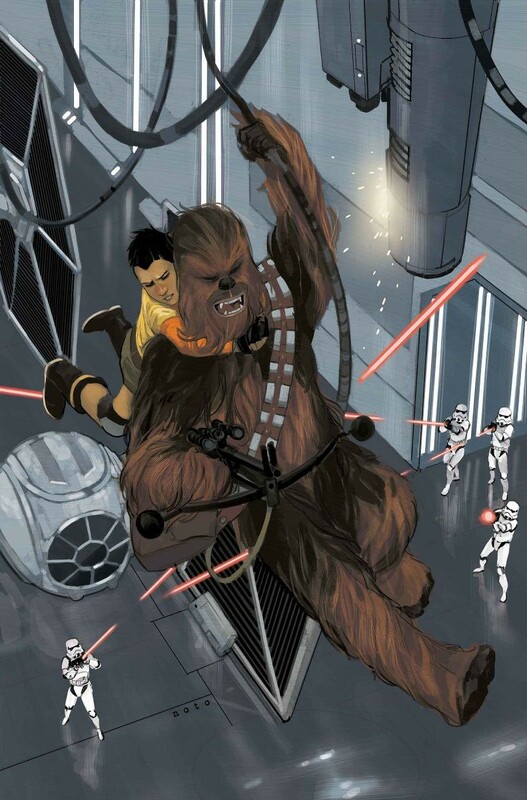 As Chewbacca is unleashed, Han finds himself dealing with…a ball and chain?! You’ve got to read it to believe it! 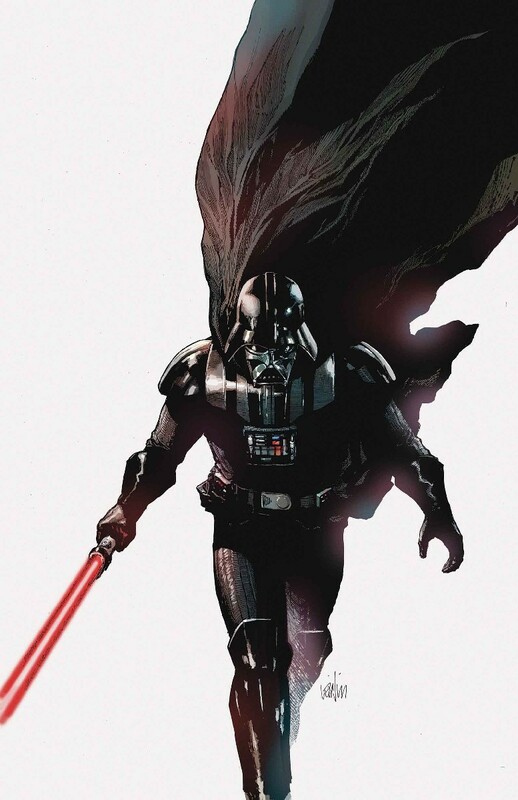 Plus: Injustice reigns on Tatooine as villainous scum run rampant. Will Ben Kenobi risk revealing himself to do what’s right? It’s a special tale from Obi-Wan’s past! Collecting STAR WARS #7-12. You know him, you love him — now, join him for his biggest caper ever as master of charm Lando Calrissian steps into his very own high-stakes adventure! 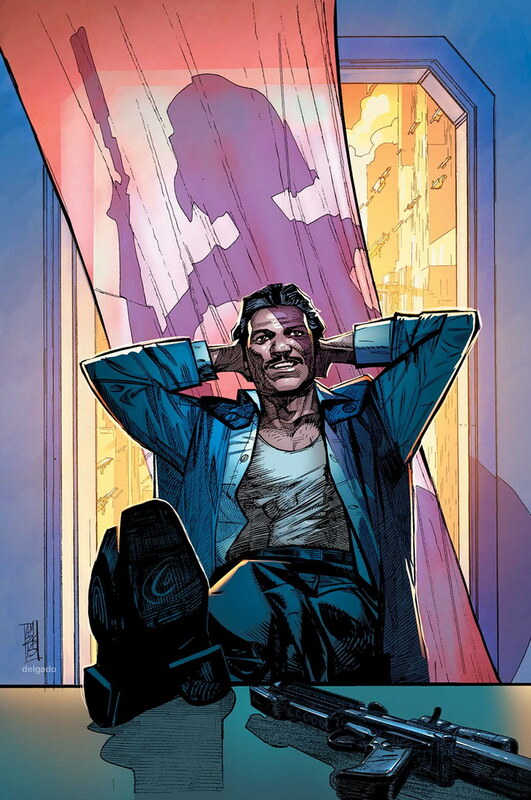 Before he joined the rebellion, before he ran Cloud City, Lando made his way in the galaxy getting by on some swindles, some swagger and a smile. With the loyal Lobot at his side, Lando has a plan to steal a very valuable ship. But has he bitten off more than he can chew? One of the galaxy’s deadliest, most effective trackers is on his tail, and the heist of a lifetime has become a fight to survive! Lando and Lobot took this gig for the easy payday — but if they make it through alive, they’ll never be the same. It’s the tale of a scoundrel in his natural element: trouble! Collecting LANDO #1-5. 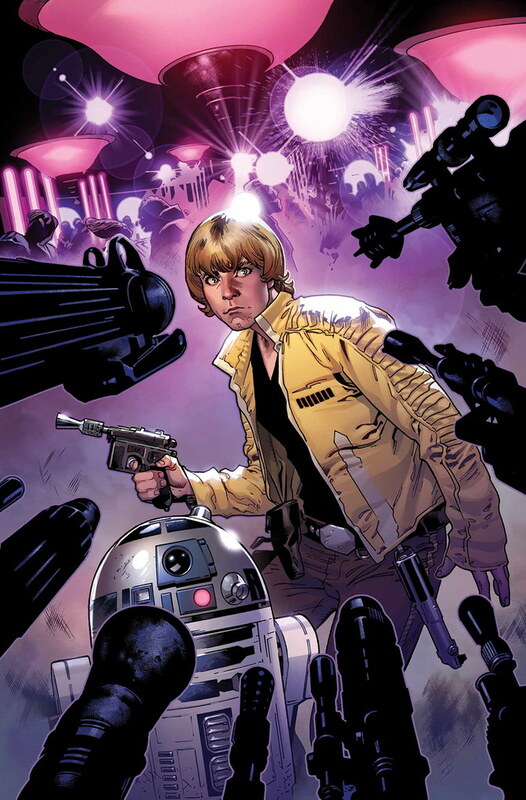 ¿Hay ganas, qué os están apreciendo los nuevos cómics de Star Wars? « ¿Llega la Trilogía Original sin alterar a Blu-ray?